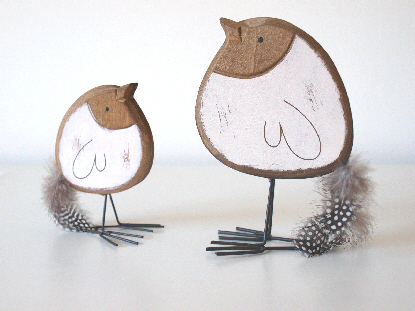 This sweet pair of large and smaller carved wooden bird decorations feature half painted cream/white bodies, feather tails and metal wire legs. They would look fabulous as a decoration in any home. For more info’ please follow this link £16.99 Thank you.